Sammy McIlveen believes Ballyclare Comrades can be shock-troopers when Glentoran make the journey to Dixon Park for today's Tennent's Irish Cup sixth round showdown. 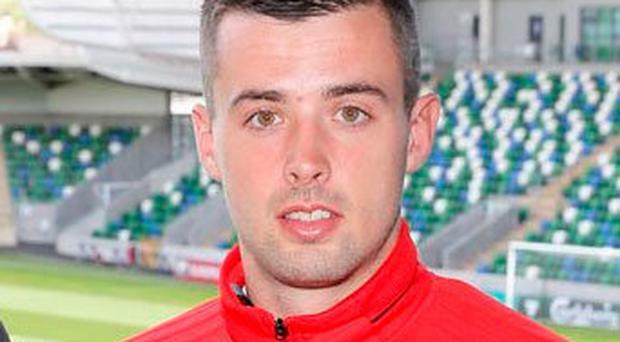 It's hardly an appetising prospect for Gary Haveron's east Belfast side, who have plunged into the bottom six in the Premiership league table. Their only consolation is the fact that they have achieved their best results on the road, having won in front of home fans at the Oval just once in five months - that was against bitter rivals Linfield on Boxing Day. Although the Comrades' form has dipped in recent weeks and that has put a huge dent in their title hopes - they have dropped to fourth place in the Championship table - former Glenavon midfielder McIlveen insisted a shock is on the cards, even though he will not be part of it. He must sit this one out after being sent off in the fifth round win over Portadown at Shamrock Park. "I'm absolutely gutted," said McIlveen. "But I'll be with the boys, urging them on. "Glentoran will not fancy coming to our place. It's probably a draw they didn't want. "We are the Championship side - there will be no pressure on us. "To be honest, we were delighted with the draw. When you reach this stage all you can hope for is home advantage, regardless of the opposition." Comrades boss Clifford Adams has strengthened his squad, bringing in experienced goalkeeper Alan Blayney from Warrenpoint Town, Eoin Kane (Ballymena United), Chris Middleton (H&W Welders) and Joe McWilliams (PSNI). "We have a good panel and still haven't given up on the league, although the odds are stacked against us," added McIlveen. "Institute have come on really strong and credit to them, especially after what happened to their ground. "But we are still in there. We have 10 games left, so there is still a lot of football to be played. "This cup tie is a welcome distraction. We'll be underdogs, but that suits us.